Gamdias, the Greek mythology themed peripheral design company has surprised us with some of the most unique gamer gear out there. 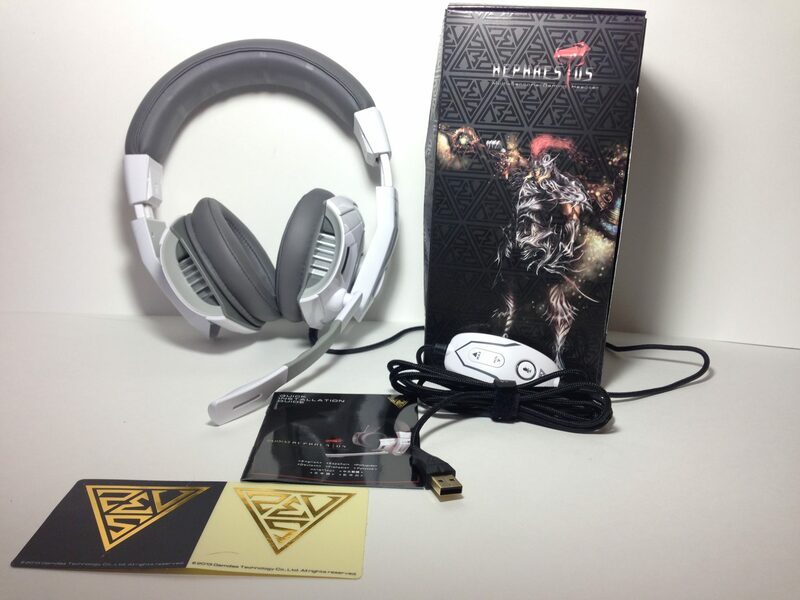 The Gamdias Hephaestus Gaming Headset (GHS2000) beings a new dimension to sound quality by adding a blast source identifier that causes the ear cups to vibrate independently. 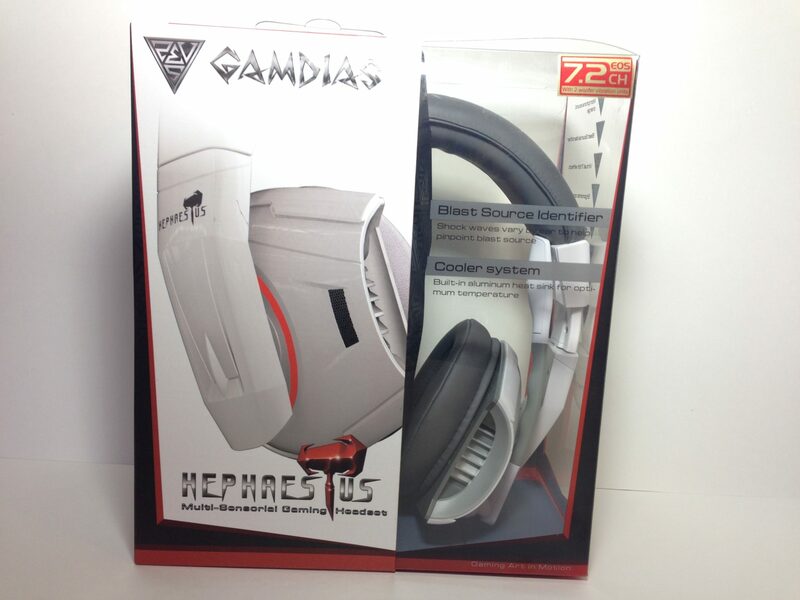 Ear cup vibration plus an interesting built in cooling system might just be the features required to bring the spotlight to the Gamdias Hephaestus but how well does it fare in terms of durability, style, and comfort? 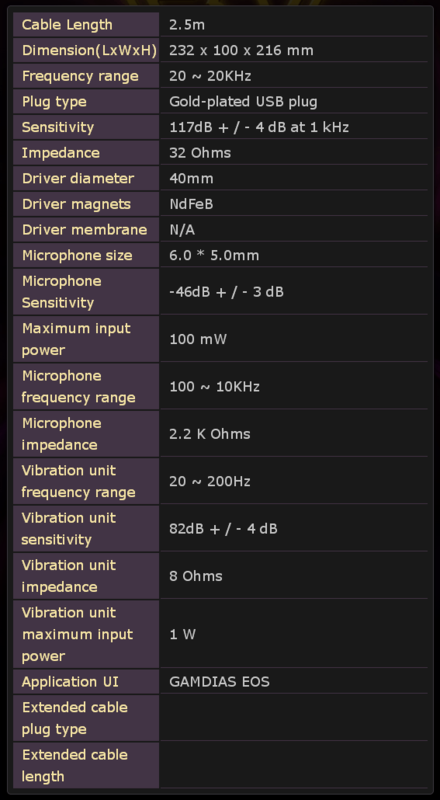 Virtual 7.1ch effect –Delivering faithful and reverberating simulated 7.1channel sound effect. At first glance the box offers excellent product view showing off the flexible mic, aluminum heat sink, and padding. 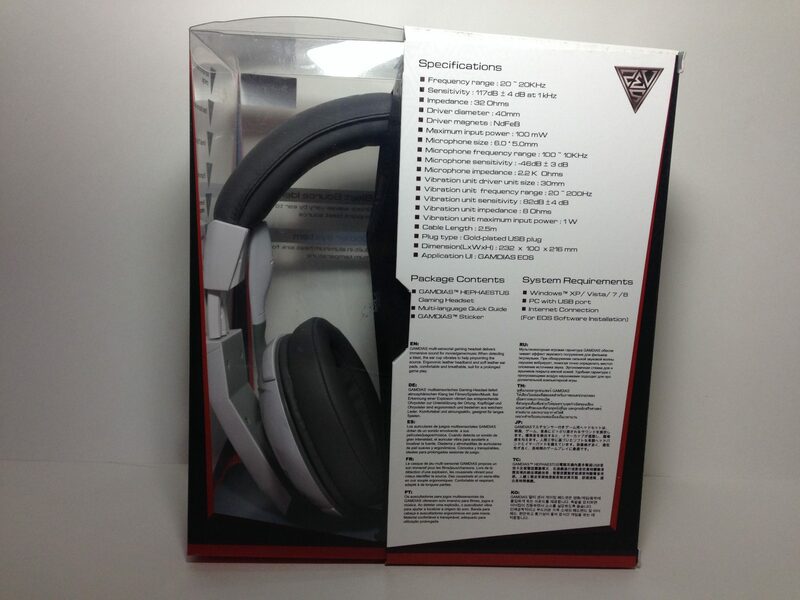 The back of the box simply shows off technical information and features. The contents inside are pretty standard, no carrying case, cloth bag, or cable accessories. Included are 2 stickers with the Gamdias logo and a multi-language quick installation guide. We also get to see an awesome portrait of Hephaestus himself.